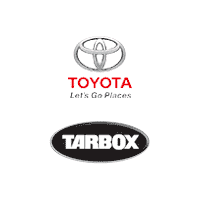 Red 2014 Toyota Camry LE 2014.5 FWD 6-Speed Automatic 2.5L I4 SMPI DOHC Camry LE 2014.5, 6-Speed Automatic.Every Used Car purchased at Tarbox Toyota includes a complimentary 1yr/15,000 mile Toyota Auto Care maintenance plan along with coupons for other valuable offers! Recent Arrival! 25/35 City/Highway MPGAwards:* 2014 KBB.com 10 Best Late-Model Used Cars Under $15,000 * 2014 KBB.com 10 Best Used Family Cars Under $15,000 * 2014 KBB.com 10 Best Hybrids Under $30,000 * 2014 KBB.com Best Resale Value AwardsCall or Email Tarbox Today To Check For AVAILABILITY!!! Gray 2016 Toyota Corolla S Plus FWD Automatic 1.8L I4 DOHC Dual VVT-i SUNROOF, Corolla S Plus, Automatic.Every Used Car purchased at Tarbox Toyota includes a complimentary 1yr/15,000 mile Toyota Auto Care maintenance plan along with coupons for other valuable offers! Recent Arrival! 29/37 City/Highway MPGAwards:* 2016 KBB.com 5-Year Cost to Own Awards * 2016 KBB.com Best Buy Awards FinalistCall or Email Tarbox Today To Check For AVAILABILITY!!! Black 2016 Toyota Camry LE FWD Automatic 2.5L I4 SMPI DOHC Camry LE, Automatic, Cloth.Every Used Car purchased at Tarbox Toyota includes a complimentary 1yr/15,000 mile Toyota Auto Care maintenance plan along with coupons for other valuable offers! Recent Arrival! Odometer is 16804 miles below market average! 25/35 City/Highway MPGAwards:* 2016 KBB.com 5-Year Cost to Own Awards * 2016 KBB.com 10 Best UberX Candidates * 2016 KBB.com 10 Most Awarded Cars * 2016 KBB.com 10 Most Comfortable Cars Under $30,000 * 2016 KBB.com Best Buy Awards Finalist * 2016 KBB.com 10 Best Sedans Under $25,000Call or Email Tarbox Today To Check For AVAILABILITY!!! Silver 2017 Toyota Camry LE FWD Automatic 2.5L I4 SMPI DOHC Camry LE, Automatic.Every Used Car purchased at Tarbox Toyota includes a complimentary 1yr/15,000 mile Toyota Auto Care maintenance plan along with coupons for other valuable offers! Recent Arrival! Odometer is 1341 miles below market average! 24/33 City/Highway MPGAwards:* 2017 KBB.com 10 Best Sedans Under $25,000 * 2017 KBB.com 10 Most Comfortable Cars Under $30,000 * 2017 KBB.com Best Resale Value Awards * 2017 KBB.com 10 Most Awarded BrandsCall or Email Tarbox Today To Check For AVAILABILITY!!! Black 2017 Toyota Tacoma SR RWD Automatic 2.7L I4 DOHC 16V Tacoma SR, Automatic.Every Used Car purchased at Tarbox Toyota includes a complimentary 1yr/15,000 mile Toyota Auto Care maintenance plan along with coupons for other valuable offers! Recent Arrival! Odometer is 1442 miles below market average!Awards:* 2017 KBB.com Best Resale Value Awards * 2017 KBB.com 10 Most Awarded BrandsCall or Email Tarbox Today To Check For AVAILABILITY!!! Black 2016 Toyota Camry XLE FWD Automatic 2.5L I4 SMPI DOHC NAVIGATION,SUNROOF, Camry XLE, Automatic.Every Used Car purchased at Tarbox Toyota includes a complimentary 1yr/15,000 mile Toyota Auto Care maintenance plan along with coupons for other valuable offers! Recent Arrival! 25/35 City/Highway MPGAwards:* 2016 KBB.com 10 Best UberX Candidates * 2016 KBB.com 10 Best Sedans Under $25,000 * 2016 KBB.com 10 Most Awarded Cars * 2016 KBB.com 5-Year Cost to Own Awards * 2016 KBB.com Best Buy Awards Finalist * 2016 KBB.com 10 Most Comfortable Cars Under $30,000Call or Email Tarbox Today To Check For AVAILABILITY!! !